Upon joining Asylum Access, Daniela established the Latin America Human Resources department. 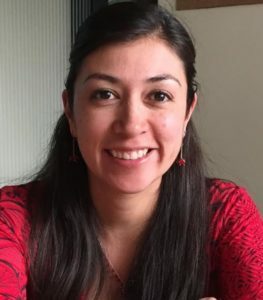 As Latin America Human Resources Manager she provides key support to Asylum Access operations in Ecuador and Mexico by ensuring compliance with employment law, developing and maintaining adequate recruitment and on-boarding processes, and serving as an expert on the organizationa’s Latin American human resources policies and procedures. Prior to joining Asylum Access, Daniela worked in corporate government and compliance for multinational insurance and trade assurance companies in Ecuador and in The United States where she led internal audit and strategic planning projects. Throughout her career she has developed an exceptional background in compliance as well as a professional style based on both interpersonal communication and mentoring. Daniela has also a strong background in academic research. As a graduate student she published a research study on strategic planning for online education. Daniela holds a Masters in Business Administration from the University of New Mexico and speaks five languages, including Spanish, English, German, Portuguese and Italian.